What’s the Future for Mainstream Media in a Fake News Age? With mainstream media under unprecedented fire from the new US administration, large well-established news organizations should focus on promoting compelling storytelling on digital platforms, reaching out to millennials, expanding global reach and rooting out the truth in a fake news age. 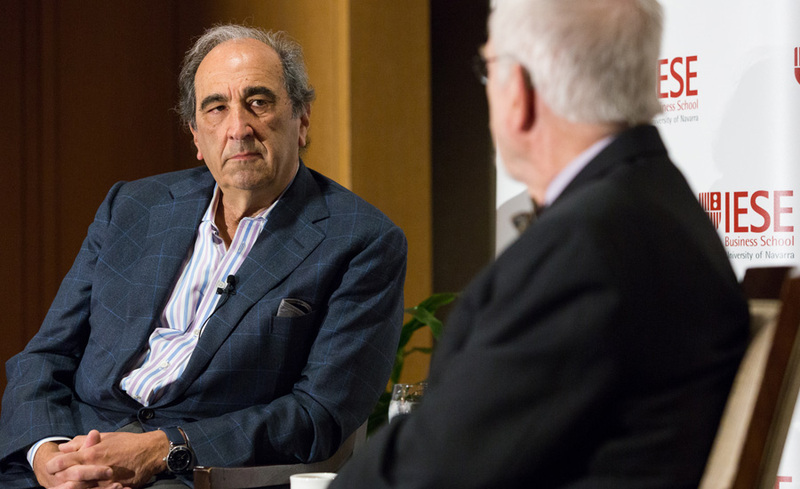 NBC Chairman Andrew Lack came to IESE New York this week to discuss the trends and challenges that we can expect in the media sector moving forward. Digital news platforms in particular, mobile platforms are attracting larger audiences than any broadcast, cable or print news form by ten- and twentyfold. These platforms are robust, Lack said. And they are in many ways dominating our thinking for many of our audiences. That is not to say, however, that journalistic storytelling has become any less important. Video dominates the digital strategy at NBC because video is its core competency. But getting consumers to click on a video requires framing it with the right headline and an adequately compelling narrative however brief that narrative may be. I have no business in video in the digital world, unless I have great storytellers, Lack said. Lack began his career in television advertisements, an experience he says provided him with the transferrable skill of getting someone’s attention in 30 seconds or less. Journalism today relies as much as ever on this type of storytelling. We want our audiences to have a takeaway, Lack said. The journalistic goal remains to create something that not only will engage an audience, but that also will take them through something that you believe to be worth their time. With digitalization comes a crucial generational gap. Marketing news to millennials, news organizations have learned, requires a different approach. NBC, under Lacks direction, recently invested $500 million in Snapchat, a millennial-driven social media app that allows users to share short, disappearing photos and videos with friends. I am interested in how we communicate with this generation, who are growing up in a world so different from ours, and who are getting information from so many different places than [my generation] did, Lack said. This partnership represents a step toward integrating NBCs news content into a platform that millennials are already using to connect with the world of information. In addition to diversifying its form, news in the digital age must also globalize its influence. Particularly in this global new world order, in which digital has driven globalization in ways we couldn’t have contemplated 20 years ago, we at NBC news are on the hunt to be as strong and competitive internationally as we have been domestically. Internationally, Lack says, we have just begun to assemble an infrastructure that is responsive to the issues of this new world order. NBC looks toward a collaboration with Euronews, which Lack hopes will allow the network to expand its audience and to become a truly global news organization. Added to the consequences of digitalization are the consequences of the 2016 presidential election cycle for the media sector. Fake news is a serious issue, Lack said. While variations of fake news have existed for decades in the form of tabloids and sensationalist news stories, the problem is multiplied in todays digital age, where news sources must be continually called into question. Audiences now are going to need to find their way through this thicket of information, deciding who to trust and where to get their news. As it relates to this administration, we are not an opposition party and we are not in a competition with this administration, Lack says. Throughout history, news media organizations have been challenged and questioned sometimes, deservedly so. 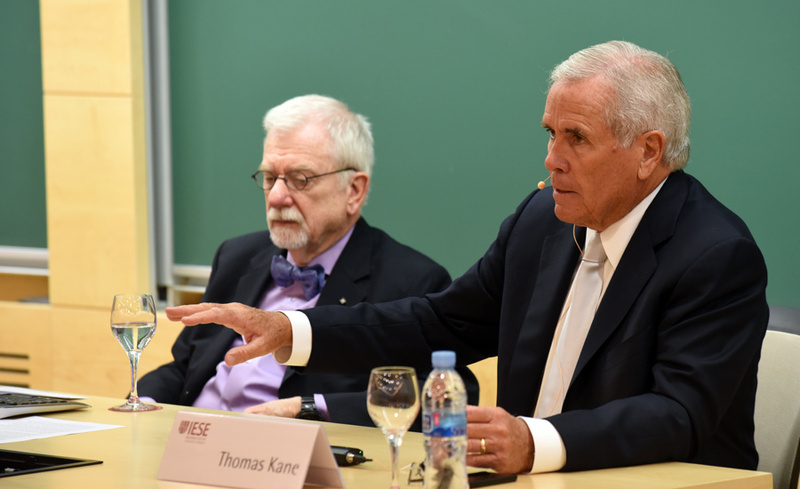 While Lack sees this administrations hyper attention to fake news as a distraction mechanism, he is optimistic about the ability of news organizations to remain focused on the issues that matter. This administration has us more focused on temperament than we expected. That said, go chase a good story, and do the best you can. What to do in a media landscape flooded with fake news? Lack suggests consulting three or four separate news sources for any given story. Reading multiple takes on the same story allows readers to identify the filters that each source applies in their storytelling, and to separate those filters from plain facts. News is hard, Lack said. It requires, in a democracy, working at it a little bit. Moving forward, we continue the quest for a reliable community of journalism and for mobile-first news content that is relevant on new millennial platforms. We have our work cut out for us, Lack said. But I am optimistic about where it’s going to end.